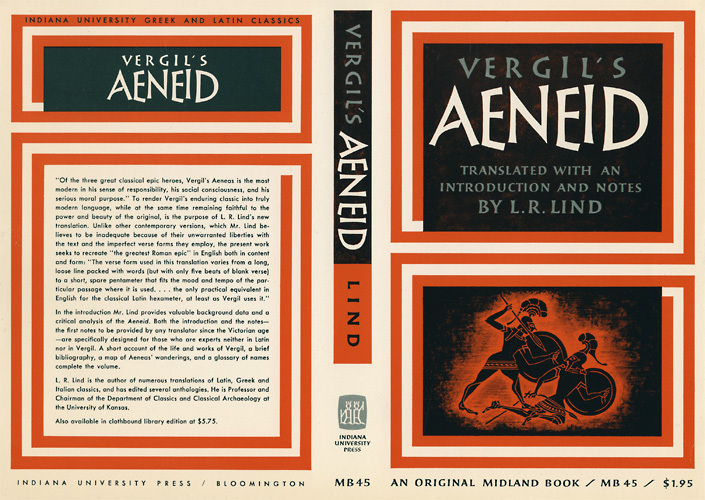 Virgil. 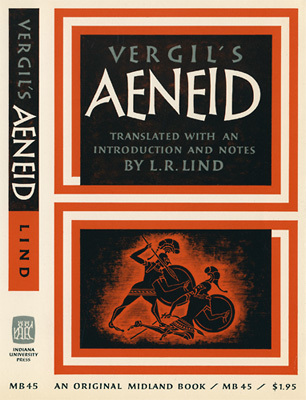 The Aeneid; an Epic Poem of Rome. Translated by L.R. Lind. Midland Book, MB 45. Bloomington: Indiana University Press, 1963. xxiv, 301 p., 21 cm. Paperbck cover design.